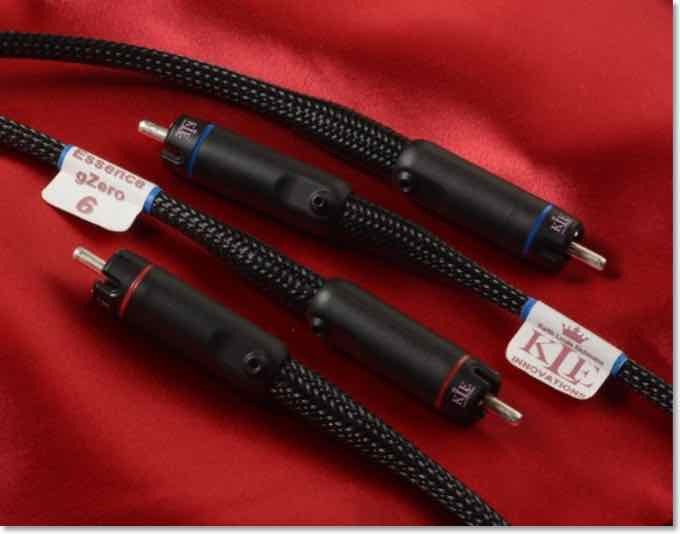 Fresh on the heels of the KLEI Speaker Cable Review on this blog, the guys at KLE Innovations (KLEI) sent me a pair of their top-of-the-line KLEI Zero6 Speaker Cables to review. At first glance, the KLEI gZero6 Speaker Cables look almost identical to the KLEI gZero2, but it appears to have a second conductor on the neutral line, as can be seen by the twisted conductor in the photo above. This is an indication that they utilize an enhanced implementation of the KLEI gZero cable architecture in the neutral line whereas the signal line appears identical. Having now reviewed almost all of the items in the current KLEI Product Line-up, this being the last product to review, I've come realize that you really cannot "judge these books by their covers"
I am constantly amused by comments made in audio circles about the looks of cables and connectors. The nice gold or rhodium plating, the in-vogue carbon fibre look etc..
After all, cables generally sit behind the components and are seldom seen, unless of course you have the big mono-block amps that need their very own one cubic yard of open space and generally located to the front and between the speakers, since they provide some very pleasing “Eye-Candy" - BUT CABLES? So I ask - aren't the looks of a cable secondary to how they actually perform? Not that any of the KLE Innovations cables look cheap - they are very nicely made, with a very understated appearance. So what is "under the covers"? KLE Innovations take their competitive design advantage very seriously, so what is on their web site is about all you will find out about their construction methods. Basically, they use a combination of very high quality copper and/or silver conductors that are constructed in accordance with “KL's gZero architecture", which combats the effects of electrical noise that is induced into conductors from adjacent conductors and also all connected components during normal operation. there is also "ground noise" which is introduced by the actual components attached to the cables. Their approach: “In accordance with KL’s Signal/Ground Formula, the KLEI gZero architecture is comprised of hand wound conductors, and implemented in a manner to dynamically enhance electron flow in the Signal conductor, without the use of electronic components. So, if their design works, then you should have about the purest transmission of a signal from one component to the next - Yes? So - Did Their Design Work? Yep! - there ya go! - they're awesome! - go out and buy them! - I'm done! Thanks to the team at KLE Innovations the cable set I received had undergone Factory Burn-in, otherwise I would have been faced with a recommended burn-in period of around 300 hours. As is, KLEI still suggested I allow 3 days before any serious listening. This was an extension in KLEI gZero2 Speaker Cables. As time went by the openness of these cables made for an extremely open and realistic presentation, especially on tracks that were not "over engineered" i.e. most classical albums, jazz albums and live performances. Even the over extended bass lines often present on R & B albums were still very well controlled and not prone to bloating, as can sometimes be the case. Norah Jones: My Little Room - even better, Just Norah, a guitar and Double bass - all in my living room playing to me. Nellie Furtado: Saturday - again wonderful simplicity in the engineering with Nellie, an acoustic guitar, background vocalist and the natural acoustics of the studio - the fun they were having was superbly conveyed. With this combination of excellent sound engineering and the KLEI gZero6 Speaker Cables - an artist has no where to hide imperfections. As the burn-in period completed, the dynamics, openness and clarity these cables conveyed, for me, became their “defining signature". As my auditions progressed I also became aware that I was listening at a significantly louder level than normal, which for me is unusual, because I normally find loud music very difficult to focus on. It seems these cables allows the amp to fully control the speakers such that the detail and clarity was never overwhelmed by a single instrument, e.g. drums or bass, that can sometimes occur when played at loud volumes. In this respect, the album I had most fun with was Roxette's Don't Bore Us - Get To The Chorus (Greatest Hits). It is possibly the most Dynamic album I have in my collection, with incredibly dynamic drums, piercing guitar riffs, deep synth work and very punchy bass lines. This album alone demonstrated just how good the KLEI gZero6 Speaker Cables are at exerting complete control over my speakers - even when played REALLY LOUD!. Out of curiosity, I reconnected the KLEI gZero3 Interconnects, since I felt that their performance might also benefit from the extended abilities of the KLEI gZero6 Speaker Cables. As suspected, they contributed nicely to their performance, elevating them to a more realistic and natural reproduction. But when used in combination with the KLEI gZero6 Interconnects, they transport you into the heart of the performance. Reflecting back on the performance of the KLEI gZero2 Speaker Cables, I recall listening to them for the first time had me wondering whether the cables were colouring the sound, mainly because some of the more "engineered" tracks sounded so different. To verify this was not the case. I turned to classical albums to assess their reproduction accuracy, which reassured me they were completely neutral and well balanced in their delivery. Since the KLEI gZero6 speaker cables perform to an even higher level, listening to them for the first time may accentuate this phenomenon, so take time to audition a lot of tracks - they will astound! So I guess, with more of everything and no downside, KL’s Signal/Ground Formula has proven itself. Not only as a theory, but in a very practical demonstration at a level of performance I had not expected to achieve with my particular system components. KL recommends, that to ensure optimum performance, that the audio systems Speaker impedance, especially the average, needs to be >3ohms and that the Speaker Sensitivity needs to be >83db, but as KL mentioned. Yes, they are getting up there, but again, compared to the competition they are very reasonably priced, but especially if you consider what they actually accomplish. If you want a big, bold, controlled presentation that is , dynamic, crystal clear and spacious then the KLEI gZero6 Speaker Cables will not disappoint. They will change the sound of your system in ways you might not anticipate. They will contribute to significant improvements in systems of all price points, elevating the performance of even modestly priced systems to levels that equal systems of a much higher price point. 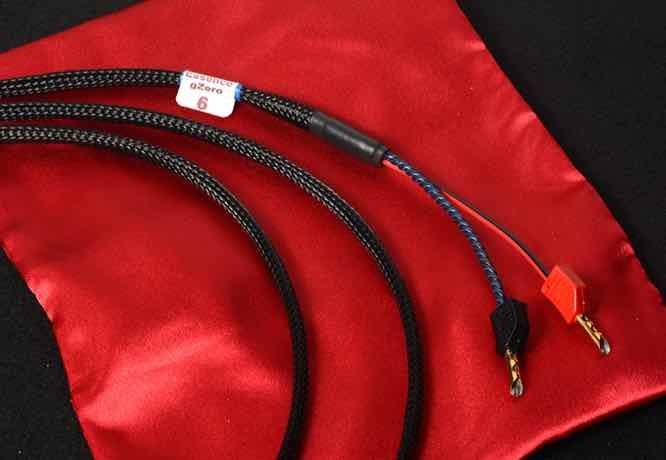 But as the performance level of the system becomes more articulate, detailed and well defined, so will the performance of the KLEI gZero6 Speaker cables. They will allow the amplifier to take control of your speaker and bring out their best performance. All KLEI gZero Cables are a family, they augment each others abilities, so it really does not matter which combinations you select - they will perform to an extremely high level. 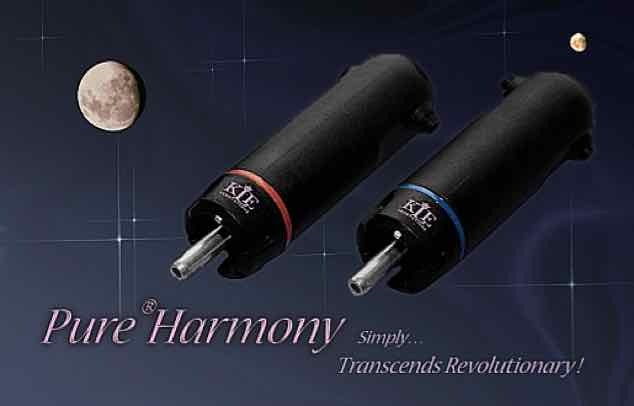 One thing that became apparent over the course of the reviews of the KLEI gZero and KLEI Harmony®Plug product lines from KLE Innovations, was the impact good power cables has on system performance. If you try the KLEI gZero cables and feel that they do not perform to the levels I have observed in these reviews I would urge you to try some different power cables.